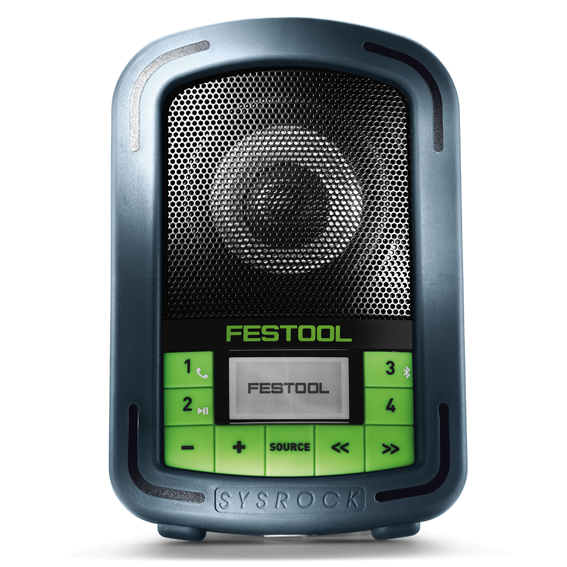 The Festool SYSROCK Jobsite Radio brings rock star quality sound with Bluetooth streaming capabilities for the jobsite! 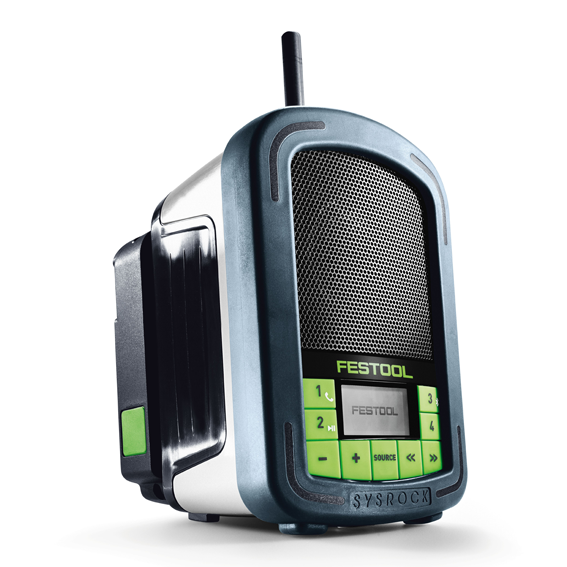 Yes, you can fill the shop or jobsite with unbelievably big sound from this tiny 6" Jobsite Radio. It weighs less than 2 lbs. 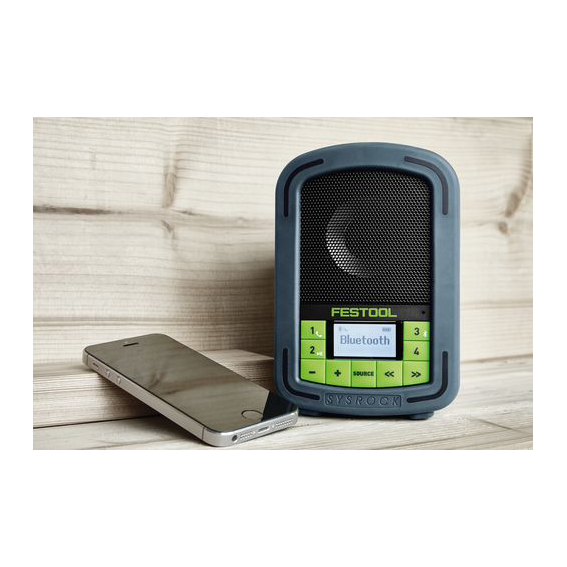 (0.7 kg), but the feature-rich compact SYSROCK provides FM Radio reception, Bluetooth streaming capability, hands-free calling, aux-in, and much more. 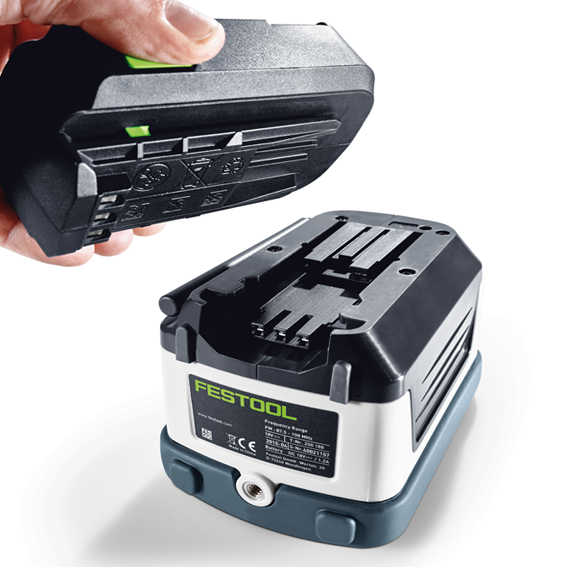 Listen to your tunes on your terms with either corded or cordless functionality. The Dynamic Sound Processor (DSP) automatically adjusts at all volume levels to produce full and natural sound and rich bass without distortion. Built-in microphone lets you take calls from your phone hands free. All this provides the perfect sound for your day even in extreme work conditions. Sound - Big sound from a compact footprint thanks to the 2.5" 10 Watt 8 Ohm Neodymium speaker and Digital Sound Processor (DSP). It not only sounds big, it can be cranked all the way up without distortion. 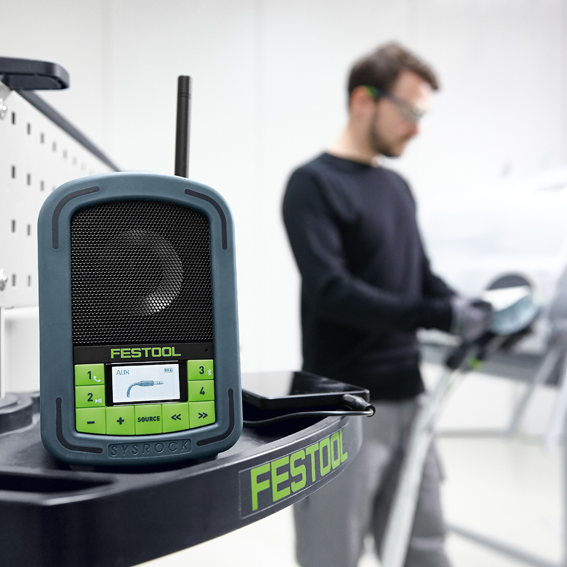 Intuitive design, oversized buttons, and aux-in capability make it the perfect shop and jobsite companion keeping you connected to your music and your world. 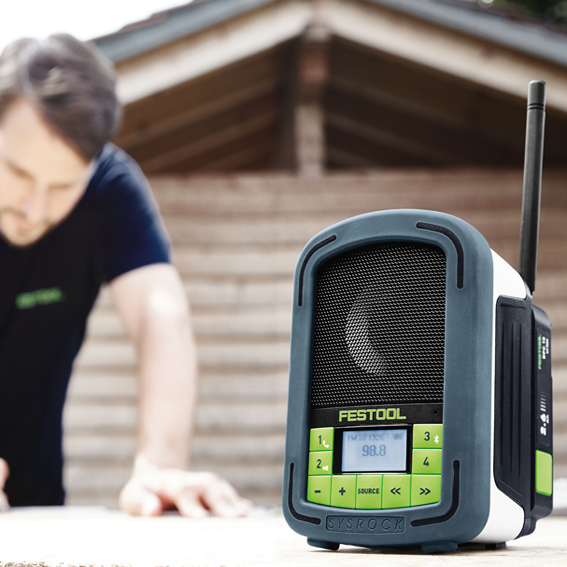 Functionality - FM reception coupled with Bluetooth (4.1) capability provides the flexibility to either tune in to your favorite local station or to stream your own music from your mobile device. Additionally, the SYSROCK pairs with smartphones for hands free usage. The Radio Data System (RDS) provides data from FM broadcasting stations that provide song information, artist, and time of day. It also has an IPX3 Rating for splash protection making it ready for the jobsite. SYSROCK Includes: Radio; AC Power Cord; Auxiliary Cord; and ballistic nylon Storage Pouch.